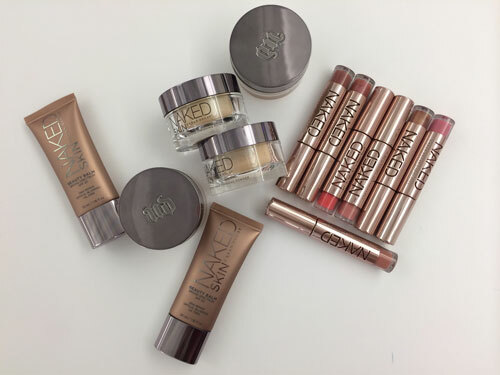 Just received new NAKED goodies from Urban Decay. I’m loving that Urban Decay has gone Rose Gold with this collection. So shiny and nice - I cant stop touching it. The new NAKED glosses come in nine different colors, we are currently coveting Rule34 (a muted brick red) and Liar (a peachy-esque pink). Formula perks: a luxe balm and rich gloss all swirled into one. The NAKED BB line has grown to include two more colors in addition to the original, light and dark (heyo). You can’t deny all of the benefits of a BB.. perfects, protects, treats, primes and hydrates. NAKED makes your skin feel pretty, naked. And those pretty little jars, can you guess what’s inside? Ultra definition finishing powder. It is a silky weightless formula that feels creamy on your skin. Formula Perk: helps skin look flawless even under unflattering light (ie. your workplace restroom).